HP has added new ink and media options to its large-format sign and display portfolio. At ISA in Las Vegas last week the company introduced the HP Scitex FB7600/FB7500 Enhanced Color Pack upgrade for the HP Scitex FB7600 Industrial Press. This provides a scalable ink option; available is a six-, seven- or eight-colour configuration. The first inks available for the colour pack are the HP FB225 Orange and Light Black Scitex Inks. The colour pack and inks are expected to be available worldwide on 1 May 2013. To improve service quality and availability of HP-branded sign and display media for HP Latex Inks, HP has entered into a licensing agreement with Brand Management Group (BMG), a company specialising in media distribution worldwide. Under the terms of this agreement, BMG will source, market and distribute a limited portfolio of HP-branded media while HP continues developing advanced media coatings and treatments. The HP media products available from BMG are limited to those intended for sign and display applications, optimised for HP Latex Inks and available 3in cores. 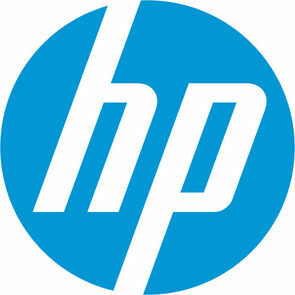 BMG is expected to begin distributing HP-branded media through its global network of dealers on 1 May 2013. In 2012, HP announced plans to work with leading media suppliers to co-develop new media using ColorPro Technology. Aurora Specialty Textiles Group, Inc. and Cooley Group are the first companies to introduce sign and display media solutions engineered with this technology. Aurora Specialty Textiles Group and Cooley Group will develop, manufacture and distribute textile substrates for use with HP Latex Inks and non-PVC banner solutions for use with HP Latex and UV ink solutions, respectively. These new media options are expected to be available in late summer 2013. HP Latex Printing Technology owners can now select media from a range of third-party suppliers with the new Media Certification Program for HP Latex Inks. The programme streamlines the media selection process and identifies the most appropriate substrates tested with HP Latex Inks and printers, including media engineered with ColorPro Technology. Approved substrates will feature a ‘Certified for HP Latex Inks’ icon. HP also announced a metallic colours effect application, supported by HP software partner Color-Logic, for the HP Scitex FB700 and FB500 Industrial Printers. The offering requires the Color-Logic Printers Design Suite and License, HP FB251 Scitex White Ink and HP-approved media for metallic substrates.